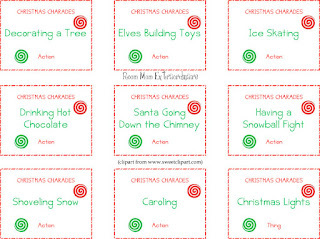 Here are the crafts & games I'm planning for my kids' school Christmas parties this year. I'm so excited about them! 1. 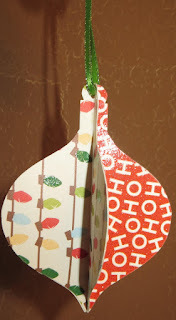 Ornament Craft: I used my Silhouette Cameo to cut a bunch of ornament shapes out of different scrapbook papers. I folded all of my ornament shapes in half (it needs to be folded pretty precisely to get all the edges to match up so I went ahead and did this step). 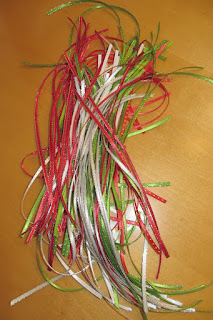 I also cut some thin ribbon into 8" lengths. 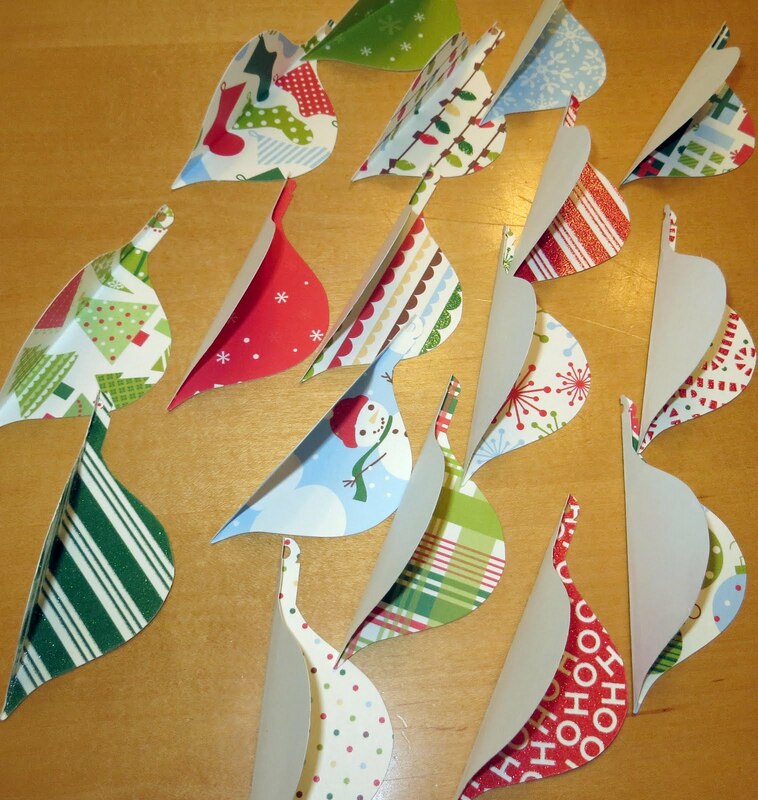 At the party, the kids will choose 4 different ornament shapes to glue together into 1 3D ornament. Then they will thread the ribbon through the small hole that is at the top and tie it in a knot. Everyone will have a unique ornament that they made! 2. 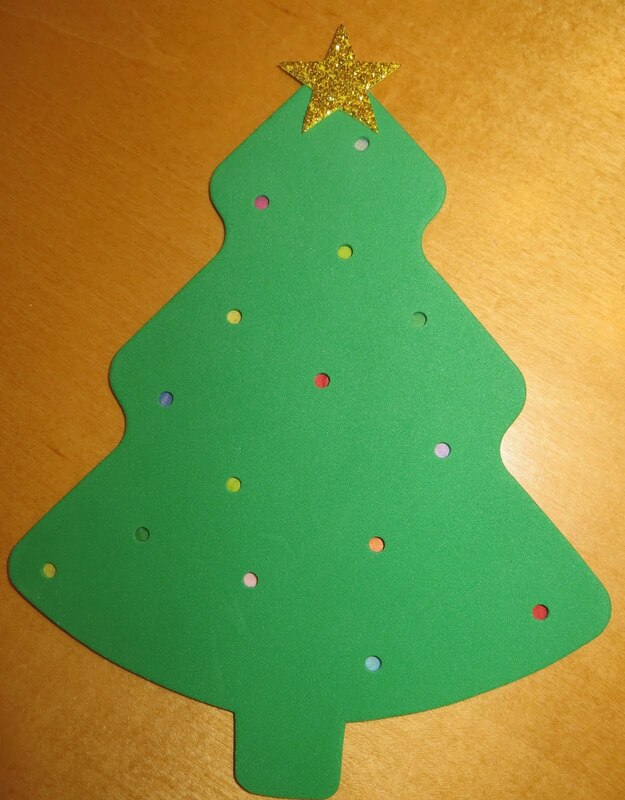 Christmas Tree Lights Craft: This idea was adapted from HERE. I bought foam Christmas trees and used an "anywhere" punch to punch small holes all over the tree. 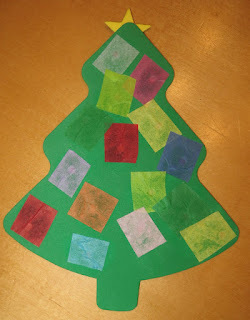 I then cut different color tissue paper into small squares. At the party, the kids will glue the tissue paper squares onto the back of the tree and add a star to the front. This looks really neat when held up to the light or hung on a window - the tissue paper looks like twinkling lights on the tree! 3. 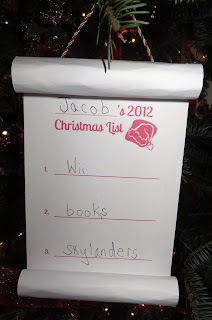 Wish List Craft: This would be a fun craft to do every year to remember what the kids wished for! You can download this cute printable HERE (Or with a space to write year instead of a printed year HERE). Print on white cardstock and cut in half. Roll the top end and then the bottom end around a pencil to get the scroll effect. I added some string to the back so that it could be an ornament on the tree. 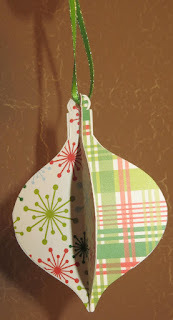 At the party, the kids will write their names and wish list items on the ornament! 4. 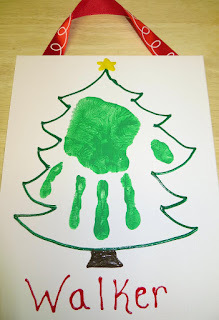 Christmas Tree Handprint Craft: This one takes more prep work than the others but I always love a handprint craft! I went up to the school before the party and got everyone's handprint on an 8x10" thin canvas using green acrylic paint. 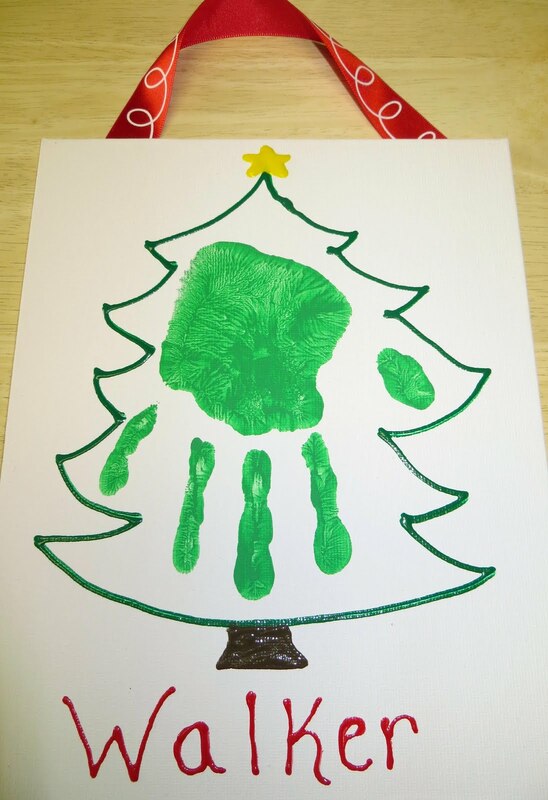 After the handprints dried, I used puffy paint to make the tree shape and to add a star, stump, and the child's name. I let the puffy paint dry 24 hours. Then I used hot glue to attach ribbon on the back. 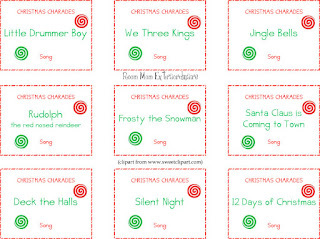 At the party, the kids will add ornaments either by gluing on buttons (preschoolers) or by using q-tips to dot acrylic paint on (2nd graders). 1. 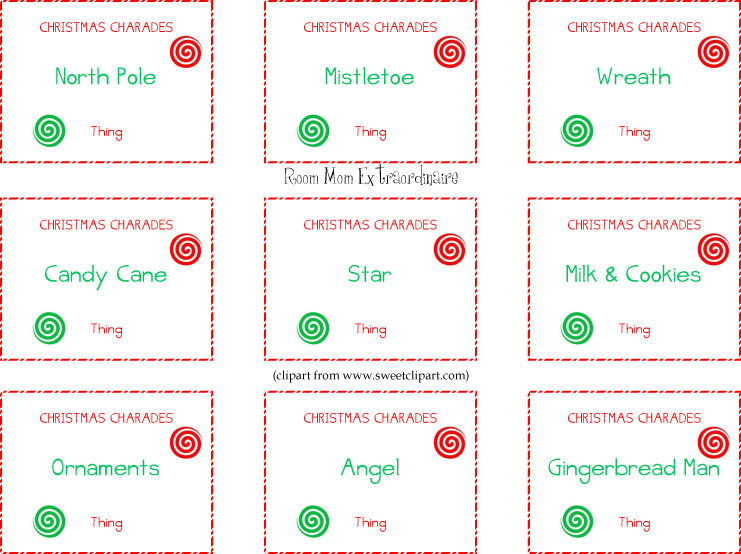 Christmas Light Limbo: This is a classic I do every year because the kids love it! 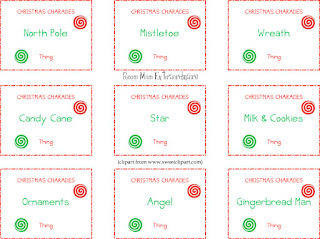 Simply wrap a flag pole or bamboo stick in Christmas lights, plug it in, play some fun Christmas music, & do the limbo! 2. 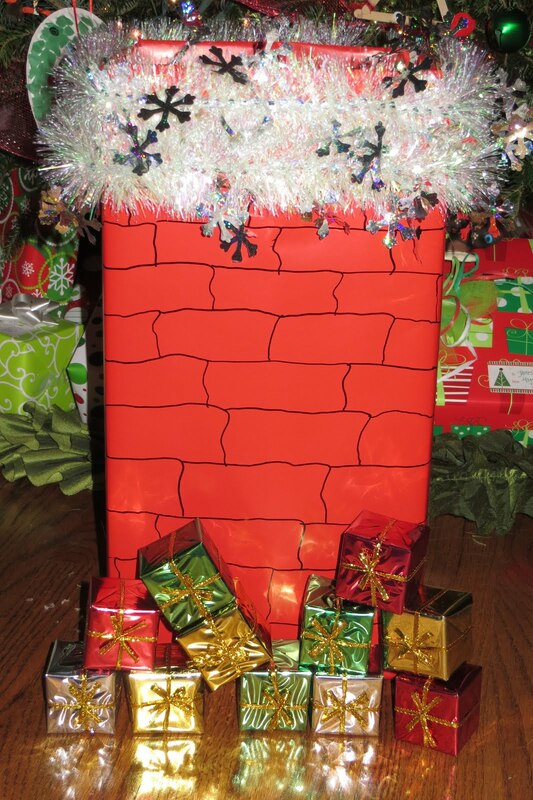 Present Toss: I wrapped a tall box in red wrapping paper. I hot glued on some snow tinsel and drew on bricks with a sharpie. 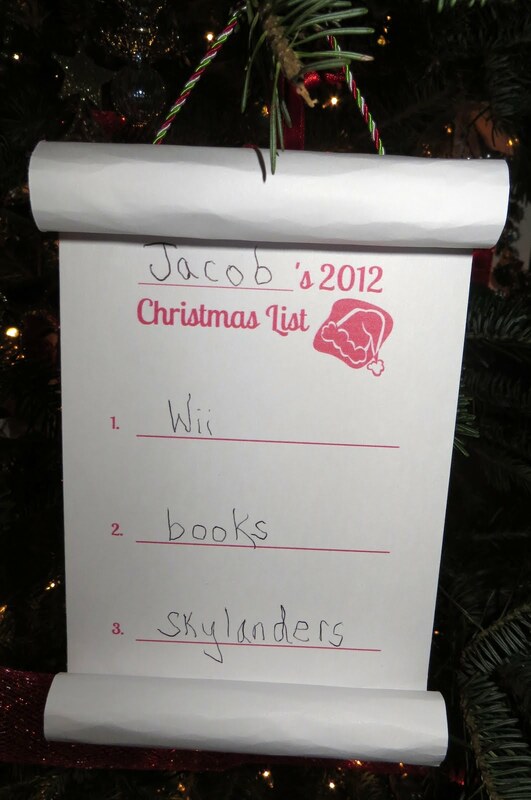 At the party, the kids will try to toss the presents down the chimney! 3. 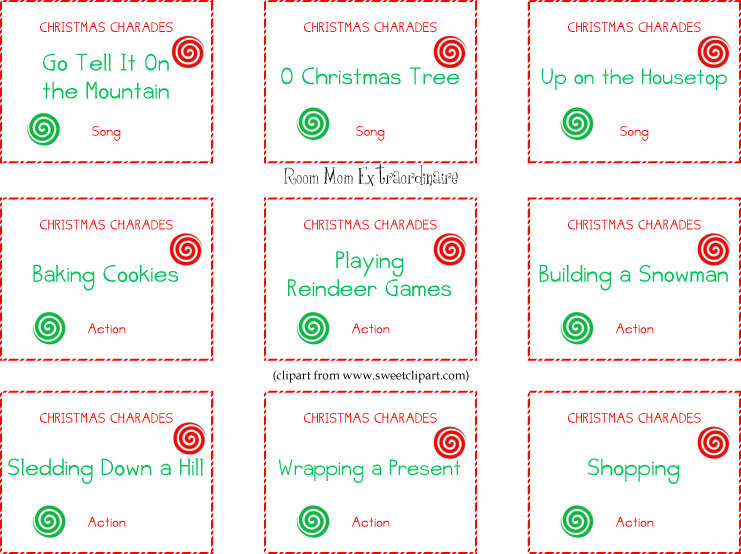 For the older kids, we are also going to play Christmas carol charades. 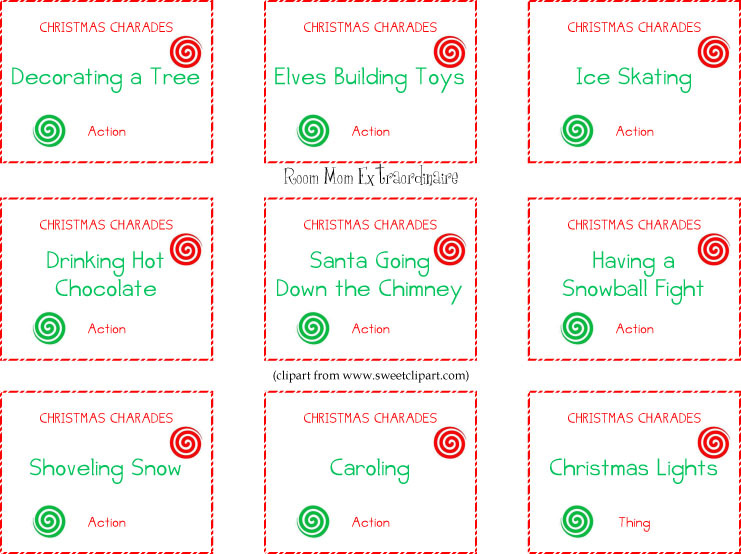 I made these cards with clipart from www.sweetclipart.com. Download & print them HERE. We'll be busy but it should be fun!! Found you through the Sun Scholar Link-Up! Glad to meet you! Also glad to find a great mommy/homeschool site. Hope you will hop over and check out my weekly link-up, Mom's Library. It runs Wed-Fri and I would love for you to add some of your great ideas! Great post! I love all of these ideas. 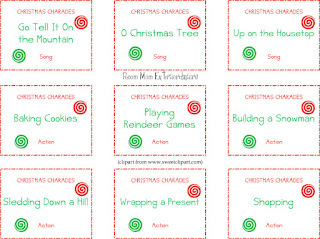 I am having a Christmas Party for my preschool and can't wait to do the present tossing game! Thanks for sharing at Mom's Library. I'm so glad you can use that idea! Thank you!